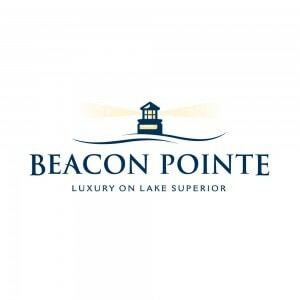 From the high grounds around Lutsen there are many spots to view Lake Superior from a commanding vantage point. You can see far and wide from these hills. But, what if you want to experience the lake closer up? A short drive from Caribou Highlands there are two great ways to get a closer encounter with Lake Superior. You can experience them both during a daytrip to Tofte, Minnesota. Tofte was founded by those who got to know this freshwater sea well. In 1893, brothers John and Andrew Tofte and Hans Engleson arrived from Norway. Like many Norwegians, they had come to stake their claim in the new commercial fishing industry. They also founded a town.The first stop in our “Tofte Lake Experience” is the North Shore Commercial Fishing Museum. In a shoreline replica of an early fish house, you can learn about early settlers to these shores. At the Museum, you can investigate the Toftes and the many who came after them. The museum building was modeled after the second fish house the brothers built, after a storm destroyed the first one. From mid-May through mid-October, the museum is open from 9 AM to 3 PM Sunday thru Thursday and 9 Am to 5 PM on Friday and Saturday. During their winter hours, they are open Fridays from noon to 5 PM and Saturday from 9 AM to 5 PM. The museum has exhibits to celebrate the men and women for whom the lake was not just a tourist attraction, but a means of survival. They saw the lake from a different perspective, making a hard living from it. Like other immigrant groups in America, they hoped to make a better living in the New World. They heard these new waters were rich in fish. Coming from Scandinavia, they were already used to the cold. Most already lived off fishing back home. They hoped for a smooth and profitable transition from saltwater fishing to freshwater fishing. They found fishing Lake Superior was not easy. Working the nets and shore duties involves long hours and their newfound ocean had a mind of its own, being prone to unpredictable and often destructive weather. At the museum you will learn about the nets, boats, and other equipment the new settlers used to catch and prepare fish. The fishermen were quick to use all that the new area had to offer. To them rocks were not just something to look at, but made a good anchor. On their “Lake Superior Gem Tour” you will get to paddle from Tofte Park to Temperance River State Park. From there, you can view falls and search for agates. During this and other Lake Superior tours, you will paddle in two person kayaks wearing wetsuits. In their current lineup, they also have a half-day Lake Superior tour involving paddling into Taconite Harbor and also visiting the impressive monument of Father Baraga’s cross. For more adventure, Sawtooth Outfitters also offer full day tours. One of these is their “Paddle to Palisade Tour.” While most people drive to the top of Palisade Head, this tour allows you to look up at the 200-foot formation. You also get to paddle though sea caves and be close to big boulders along the shoreline. In the kayak, you can think about those long ago, floating on these same waters. They experienced fishing along these rugged, beautiful, and sometimes dangerous shores. They came to work, but still enjoyed the rugged scenery. They might be happy to see a lot of these shores look about the same as when they arrived in the New World.